So, you’ve selected your new (or refurbished) x-ray equipment. Good for you! Now it’s time to prepare for installation. There are so many things to consider, and the better prepared you are, the smoother it will go. We’ve prepared this checklist to help you get the job done right the first time, with as few headaches and hassles as possible. Overwhelmed? Don’t be. 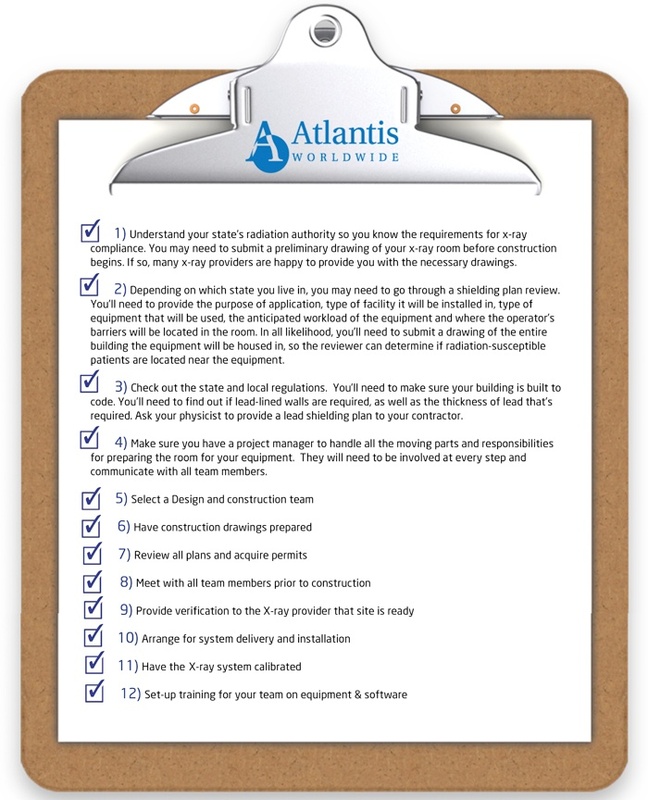 When you work with medical imaging equipment experts like Atlantis Worldwide, you’ll get all the guidance, information and support you need for a smooth installation process. We can help you with all installation needs and requirements. Contact Us Today!